Every year news publications post the best places to work. And if someone doesn’t possess these criteria their prospects of getting a job at one best places to work for looks grim. [37:164] Each one of us has a specific job. [37:165] We are the arrangers. [37:166] We have duly glorified (our Lord). [50:16] We created the human, and we know what he whispers to himself. We are closer to him than his jugular vein. [50:17] Two recording (angels), at right and at left, are constantly recording. When we opted to come to this earth in this one last chance to denounce our original sin and to prove that we deserved to be redeemed back into God’s kingdom, God asked the angels to serve the human being during this experiment. It was at this point that Satan was exposed as he refused to serve the human being. His argument was that he was better than us, therefore he could not bring himself to carry out such a request. For this, he was banished from God’s kingdom as God had no need for subordinates who refuse to follow His commandments. While some people are solely fixated on getting the best job in this world, what most people are oblivious to is that this life is our schooling, internship, and acceptance for our job in the Hereafter that will last for eternity. We are going through a curriculum in this life to prepare us for our eternal job. [36:54] On that day, no soul will be wronged in the least. You will be paid precisely for whatever you did. [36:55] The dwellers of Paradise will be, on that day, happily busy. During the schooling for our eternal career some people never show up to class, some people show up but don’t pay attention and thus fail, and other show up and succeed. [27:89] Those who bring good works (in their records) will receive far better rewards, and they will be perfectly secure from the horrors of that day. [27:90] As for those who bring evil works, they will be forced into Hell. Do you not get requited for what you did? [67:2] The One who created death and life for the purpose of distinguishing those among you who would do better. 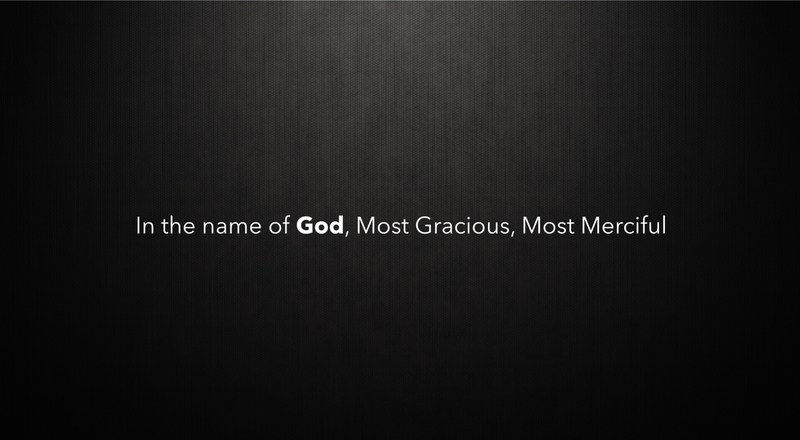 He is the Almighty, the Forgiving. [28:22] As he traveled towards Midyan, he said, "May my Lord guide me in the right path." [28:23] When he reached Midyan's water, he found a crowd of people watering, and noticed two women waiting on the side. He said, "What is it that you need?" They said, "We are not able to water, until the crowd disperses, and our father is an old man." [28:24] He watered for them, then turned to the shade, saying, "My Lord, whatever provision You send to me, I am in dire need for it." [28:25] Soon, one of the two women approached him, shyly, and said, "My father invites you to pay you for watering for us." When he met him, and told him his story, he said, "Have no fear. You have been saved from the oppressive people." [59:9] As for those who provided them with a home and a refuge, and were believers before them, they love those who immigrated to them, and find no hesitation in their hearts in helping them. In fact, they readily give them priority over themselves, even when they themselves need what they give away. Indeed, those who overcome their natural stinginess are the successful ones. Tested to See Which Will We Give Priority To? [29:2] Do the people think that they will be left to say, "We believe," without being put to the test? [29:3] We have tested those before them, for GOD must distinguish those who are truthful, and He must expose the liars. [17:18] Anyone who chooses this fleeting life as his priority, we will rush to him what we decide to give him, then we commit him to Gehenna, where he suffers forever, despised and defeated. [17:19] As for those who choose the Hereafter as their priority, and work righteousness, while believing, their efforts will be appreciated. [17:20] For each one of them we provide; we provide those and these from your Lord's bounties. Your Lord's bounties are inexhaustible. [17:21] Note how we preferred some people above others (in this life). The differences in the Hereafter are far greater and far more significant.